TRÜ-HYBRID presents the very finest, incredible diamond simulants in the world and the proprietary brand, Trü-Hybrid stands firmly behind it. 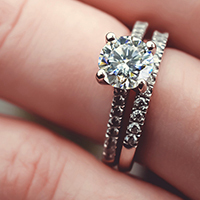 While Traditional Wedding Diamond Options Have Evolved, Love & Commitment Remains The Same. Historically, true love and commitment have remained unwavering. However, there has been a dramatic shift in the tradition of wearing mined diamonds, or not. New technologies have produced exciting and legitimate alternatives that parallel the appearance and performance of mined diamonds. These lab-made jewels are easier on our planet, on its people, and they are very friendly on the pocketbook. We are truly thrilled to finally present a brand new breakthrough in affordable simulated diamond jewels that are not mined diamonds. Trü-Hybrid Simulated Diamond Jewels are the finest diamond alternatives in their class. Trü-Hybrid Simulated Diamonds are hard, durable and beautiful; the finest diamond simulant of any in the world. 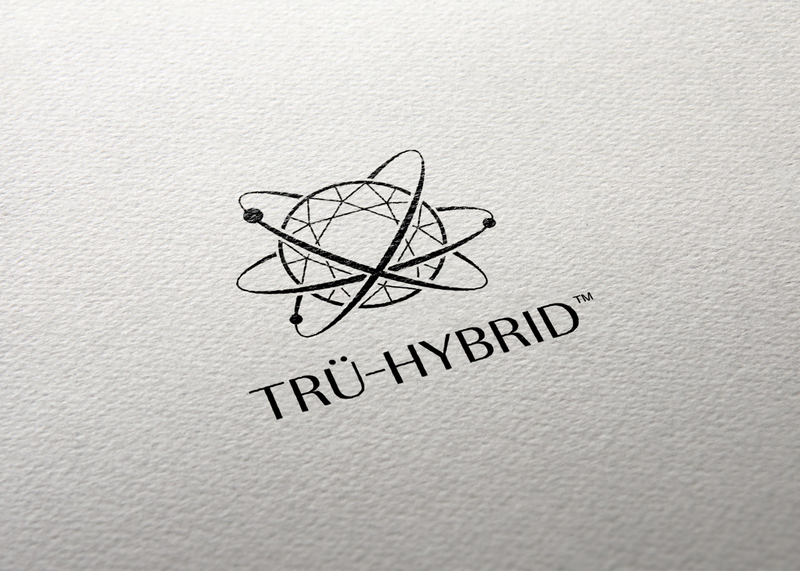 Trü-Hybrid truly looks and feels like natural mined diamonds! Thanks to advanced technologies and forward thinking, Trü-Hybrid combines Diamond (Carbon) and icy clear, hardened man-made crystal to achieve stunning diamond-like hybrid jewels that perform like the finest of mined diamonds. We employ only the best skilled master diamond cutters that work to bring Trü-Hybrid jewels to you, for your love and your life. The result of the Trü-Hybrid process yields an outstanding, shimmering, radiant jewel that looks identical to a mined diamond, if not better. What Is It Made Of?? 5-star CZ (zirconium oxide) as the core crystal for the Trü-Hybrid jewels. Trü-Hybrid jewels are, at their core, a premium grade synthesized zirconium oxide. AKA really nice/top grade hardened CZ. Once they are cut, they go through the process of infusing the entire surface with diamond via a proprietary ionic diamond infusion process. The result is a much more durable gem that will never be confused with common CZ. Trü-Hybrid Jewels are a spectacular and affordable alternative to the Earth-mined diamonds. Trü-Hybrid combines gem grade diamond and rock hard crystal, ionically infused – permanently. The hand made Trü-Hybrid Jewel provides a diamond-like jewel with a unique feature that differentiates Trü-Hybrid from all gems in its class; Trü-Hybrid’s unique diamond/crystal composition repels oils, lotions and debris to ensure that your Trü-Hybrid jewel will remain scintillating, not dull or cloudy. Like water off a duck’s back, the Trü-Hybrid jewel repels oils, lotion, dirt and grime making it easy to clean with soapy water and a toothbrush. The Best, for Less: While Trü-Hybrid jewels are superior to any in their class, Trü-Hybrid also costs considerably less than other simulated diamonds. 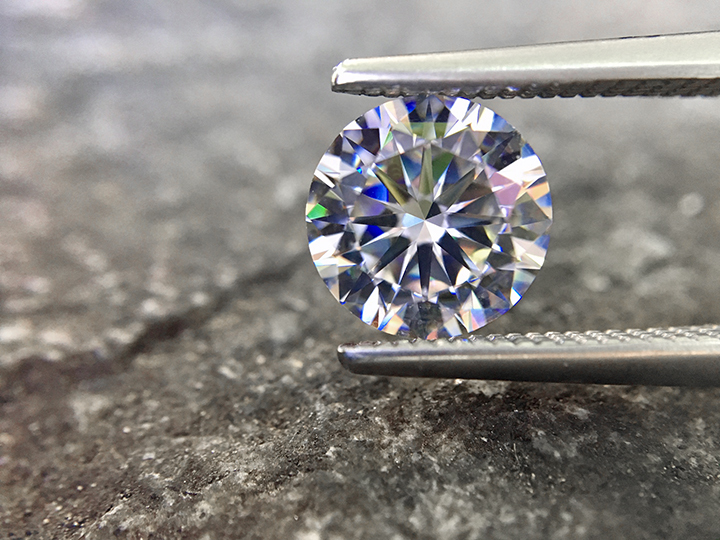 Trü-Hybrid’s low price combined with its beauty, durability and lifetime warranty make Trü-Hybrid the obvious choice for your diamond alternative diamond-hybrid.